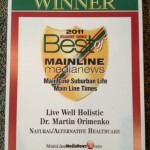 Live Well opened in March 2010, and by 2011, Dr. Martin Orimenko and Live Well Holistic Health Center were voted the Best of the Main Line for Natural/Alternative Healthcare! We received the award again in 2013. 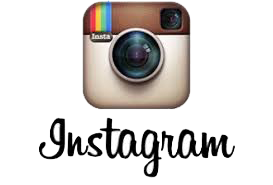 In July 2013, we were featured on Philly Area Yoga’s Website. The quest for health and wellness takes people in various directions. The journey to becoming the best versions of ourselves – physically, mentally, emotionally and spiritually – may seem challenging or even feel confusing at times. 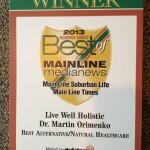 That’s why it’s a breath of fresh air, literally and figuratively, walking through the plant-infused entryway of Live Well Holistic Health Center in Ardmore, Pennsylvania, where Dr. Martin Orimenko shows people that integrated health is indeed within reach. We all know that some combination of diet and exercise would support our well-being, but finding a regimen that fits us as individuals isn’t always so straightforward. If and when we do, there might be some underlying sense of malaise, where we recognize our reactions to environmental stress or our emotions might be a little askew. Thankfully, the Delaware Valley has an educated and dedicated chiropractor, nutritionist and naturopath as a nearby guide. “Through Applied Kinesiology, I can determine what the body needs”, explained the mild-mannered Orimenko. The highly skilled and intuitive licensed doctor of chiropractic and naturopath – who began meditating at the age of 17 and carries himself with a calm that is contagious – has treated more than 5,500 patients during his 20+ years in practice. Live Well is a place where people of all ages can find help for all conditions. Some come seeking relief from Crohn’s, Colitis and Irritable Bowel Syndrome, others with skin and weight issues. Some are looking for advice on dealing with allergies or headaches, others are suffering with chronic physical pain or the emotional pain of anxiety and depression. Patients often come in for the treatment of something specific, Orimenko noted, then recognize the symptoms are a manifestation of something else and gain a deeper awareness of themselves. Treatments fall into three main categories: Musculo-skeletal; Nutrition & Diet; Mind & Spirit. Inside those, Orimenko’s therapeutic modalities might include: Chiropractic and massage techniques (he also has four massage therapists on staff) as well as guidance on exercise; Cleanses and dietary supplements to achieve balance in the body; Lessons in mindfulness as well as strategies to alleviate emotional issues. How does he do it all? From early in life, Orimenko recalls always being eclectic. Growing up, he wasn’t satisfied with one musical instrument, so he learned a half dozen. The multi-instrumentalist is now actually a Kirtan artist who created an album and performs out in the community. He performs on his own as well as with David Newman and most recently with artist Yvette Om at the ‘Yoga On The Steps’ event at the Philadelphia Art Museum to benefit the non-profit organization Living Beyond Breast Cancer. Orimenko’s career path in holistic health has been equally exploratory, yet always focused. He left his hometown of King of Prussia, Pennsylvania, to delve into the study of natural medicine all over the world. He set up his first successful practice in St. Louis, Missouri, where he attended chiropractic school. Later, the adventurer headed further west to Sausalito, California, where he opened another practice, lived on a houseboat and met his future wife (and business and marketing guru for Live Well) Traci. Since she is ironically from Cherry Hill, New Jersey, the couple decided to move back east to be near their families – and since started their own. They established Live Well Holistic Health Center on Lancaster Avenue nearly four years ago. Orimenko’s desire to master the vastness of natural medicine has taken him to China, India and South America. Several certificates that hang on his wall, displaying his education and expertise, are only a sampling of his credentials. There’s an entire binder full of them … from Ayurvedic Medicine, to Acupuncture & Acupressure, to Herbology, to Reiki & Breathwork. In addition to Orimenko’s kind demeanor and innate ability to counsel people as they work toward wellness, the ability to pull from these diverse disciplines sets him apart and makes him sought after as an healer and guide. People drive from as far as two hours away, and from out-of-state, for his unique and individualized treatments. “Someone might be a vegetarian, or eating raw foods or following a Paleo diet, and I help them within their lifestyle,” said Orimenko, noting he doesn’t have any “hard and fast way” that works for everyone. Instead he customizes his treatments for patients based on their specific needs. Traci at the front desk reports that she sees patients get amazing and quick results because of Orimenko’s individualized approach. Some of the more common reasons patients come to Orimenko are around digestion – from food sensitivities to their body struggling with processing foods. To reverse these, Orimenko will go to his pharmacy – a cubby-style storage station, organized perfectly, with each square holding the homeopathic or natural keys to health – for something to reset the gastrointestinal tract (i.e. Candida and colon cleanses). The small bottles containing herbs, minerals and supplements are a world apart from the suggestions people receive daily through the barrage of TV and magazine ads – the new options alluring for some, mysterious for others. While certain mental barriers keep people from making the shift from traditional to holistic, Orimenko is observing a pattern. Ideally, for the health of the world-at-large, Orimenko would like to see people seeking hands on physical therapies for their bodies (not relying only on physical exercise) and seeking out natural alternatives. One demographic is, and always has been, on board with the concept of holistic health – and that is people who do yoga. With so many intrinsic crossovers, it’s no wonder Live Well has many yoga practitioners as patients and that Orimenko is so involved in the Philadelphia community. Orimenko actually teaches the Injury Prevention and Awareness modules in the Yoga Teacher Trainings for Yoga on Main, offering his expertise in physical anatomy to the students. Allegra Tiver is a freelance writer based out of Swedesboro, NJ, with a focus on yoga, hiking and being in nature, travel and sharing stories of the human experience. Also an RYT-200, Allegra has been teaching Vinyasa yoga for more than two years and practicing yoga for more than a decade. The Live Well Holistic Center provides a variety of holistic treatments. There are many reasons why people seek out holistic methods of healing. Some turn to these alternative therapies because they do not have medical insurance. Some believe in the healing power of the body and mind. Still others find it as a last resort to relieve chronic pain has persisted more traditional forms of treatment. This story came about after several Main Line residents—unknown to each other, with various backgrounds and incomes, and under independent circumstances—spoke about their positive outcomes from treatment at Live Well. Keeping in mind that there are some vocal, rather rigidly traditional physicians who take a dim view, in general, of holistic medicine and healing methods, we decided to focus simply on the experience, and report on it. The atmosphere in the office is calm and comforting, and the open-air courtyard leading into the office sets the tone even before you enter the office. Once inside, Dr. Martin’s wife and co-founder of the center, Traci (who is also a holistic health counselor), welcomes you as if entering her home. Orimenko has been in practice for more than 20 years. He and Traci decided to move the practice from Sausalito, California last March to raise their young son Alex near family. They saw Ardmore as the ideal spot to open their holistic center, and currently treat hundreds of patients. Orimenko is a licensed chiropractor and naturopathic doctor, and has certifications in ayurvedic medicine, applied kinesiology and nutrition. He sees patients with a wide range of health issues, including neck and back pain, joint pain, digestive issues, allergies, headaches, hormonal imbalances, chronic fatigue, weight issues, cholesterol problems and blood sugar imbalances. He treats patients using standard chiropractic methods and a variety of physical and massage therapies. Utilizing kinesiology, a form of muscle response testing, he can detect underlying physiological, biochemical, structural, or emotional imbalances. He can determine which foods or environmental factors are effecting your health and which nutritional supplements and dietary changes would correct your imbalances and revitalize you. He also provides clients with a variety of home exercises to help strengthen, balance and heal them physically, mentally and spiritually. Carmen Horodeczny, from the Overbrook section of Philadelphia, first came to Orimenko for a hand injury almost two years ago. She suffered from torn tendons in her wrist after a fall, and underwent surgery and traditional physical therapy. Horodeczny now sees the good doctor for massage and general health, and has received acupressure, acculaser and herbal remedies. Mark Cubbler, of West Chester, works as a contractor in Ardmore and was having debilitating headaches for months before going to see Orimenko. He had no insurance and was worried about the cost of going to a traditional medical doctor. He was home sick one day, saw a show on television about holistic medicine, and decided to find a holistic specialist. A doctor he trusted in West Chester referred him to Orimenko and “within three sessions my headaches were gone.” Cubbler then began a new diet and nutritional supplement program provided by Orimenko. As part of writing this story, I had several paid visits with Orimenko, who was aware I was planning to write a story about the experience, with no conditions involved. My initial visit was a one-hour evaluation and treatment session. He discussed my health concerns and suggested a treatment plan to begin that day. He was very attentive and gave me the feeling that I was the only patient he was seeing that day. The number of visits varies from a few visits to a few months or more. Orimenko did not push me into any treatment plan. The office also has two massage therapists on site, who provide therapeutic massages in a variety of methods, from traditional to alternative.